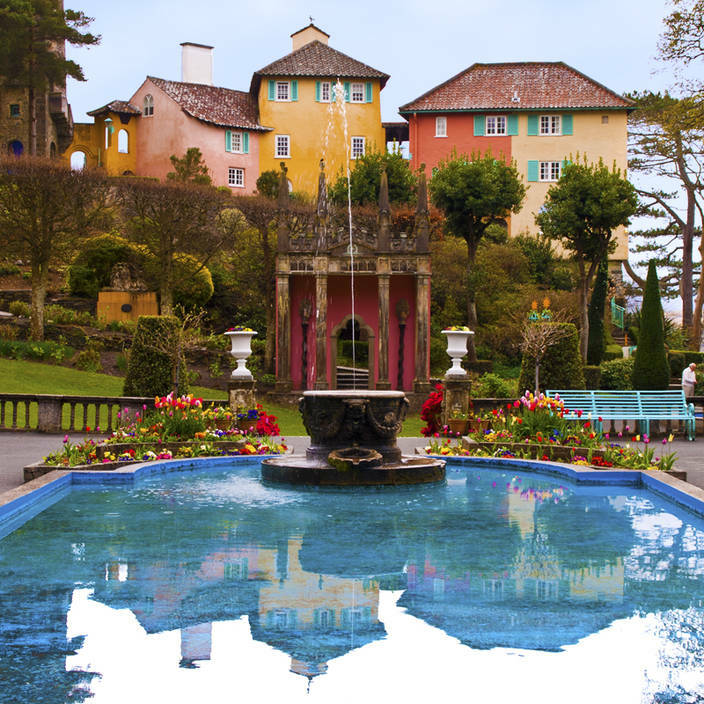 This is Portmeirion in Wales. Site of the 60′s TV series The Prisoner. To process this image I added Vibrance to boost the colour. Vibrance was introduced in Photoshop CS4. It was designed to add saturation without making skin tones look unnatural. In this image there is no skin but vibrance does give the affect of adding saturation without distorting the Mediterranean wall colours. I fixed the blown out sky using techniques from this video. Though in The Prisoner it always seemed to be sunny. Fine shot, sir.